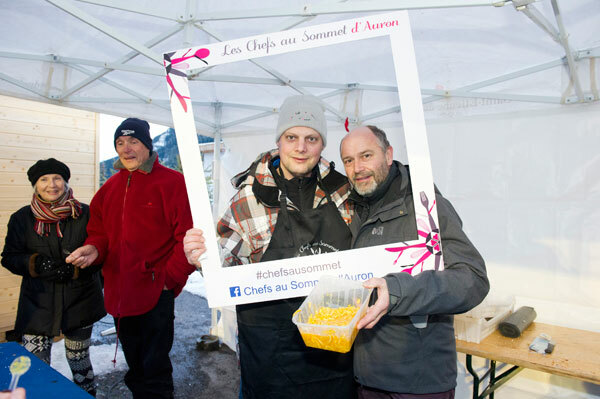 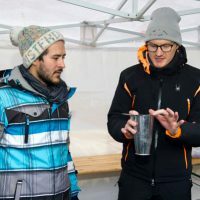 Chefs au Sommet d’Auron – seventh edition – have made the emblematic ski resort of Mercantour the Capital of Mountain Gastronomy from January 20 to 26, 2018 under the patronage of Pastry Chef Christian Cottard. 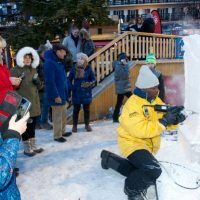 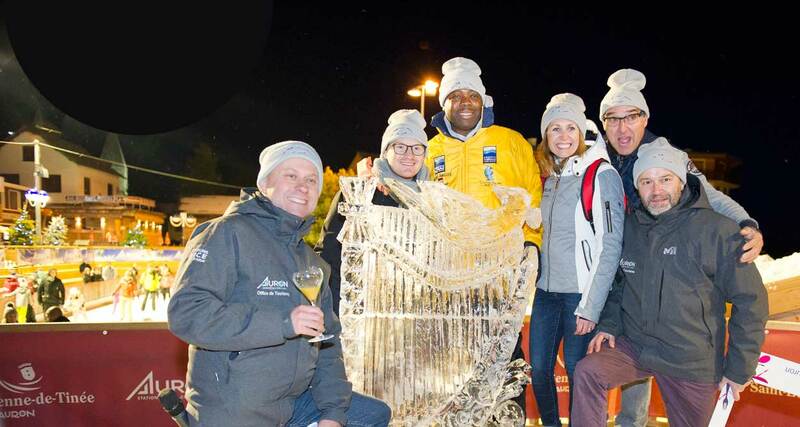 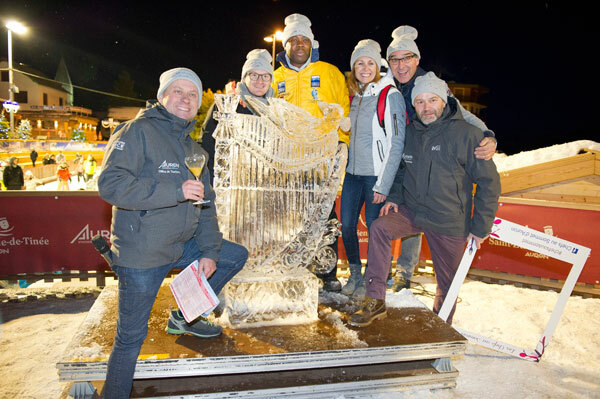 Chefs au Sommet d’Auron started on Saturday, January 20th with no less than three World Champions who demonstrated their talents. 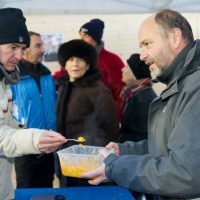 On the gastronomy side, the public enjoyed a delicious orange jam cooked by Stéphan Perrotte, Best Confiturier of France 2014, 2015 World Jam Champion and 2016 Gold Medal at the Concours Agricole de Paris. 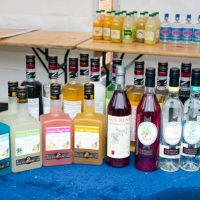 Visitors were refreshed with fruit juice cocktails mixed by Victor Delpierre, Barista/Cocktails World Champion. 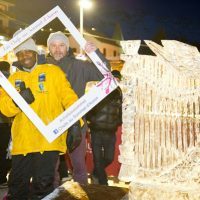 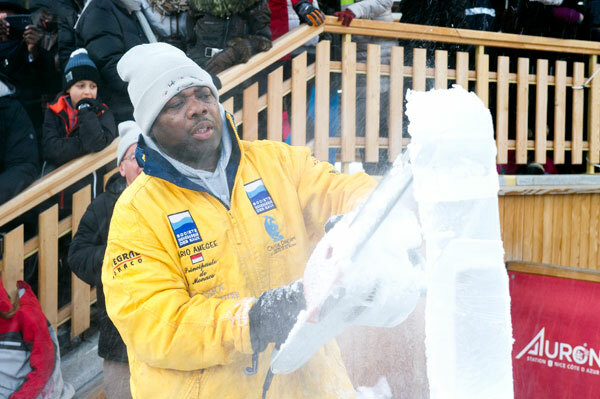 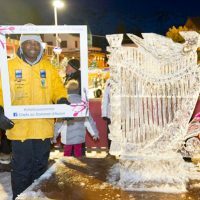 Finally, to break the ice, Mario Amégée, triple World Champion in ice carving, sculpted a superb lyre in front of the Auron Ice Rink. 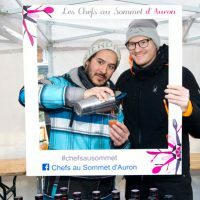 For a week, under the patronage for the first time of a Pastry Chef, Christian Cottard from Antibes, the Chefs au Sommet d’Auron will highlight the Bio and Locavore to honor the gastronomic riches and quality products abounding in the mountains, valleys and coastline of the Highlands. 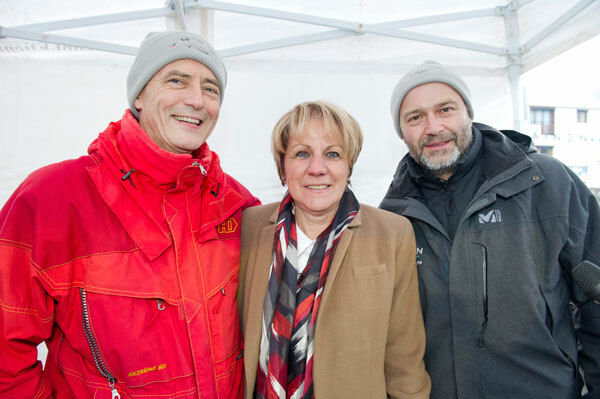 The products of our mountains mainly come from the Association Montagnes Paysannes, a collective of producers from Puget-Théniers. 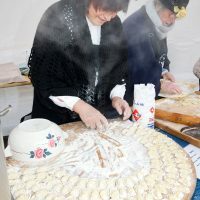 These noble products, from short circuits and organic cultivation, raised or cultivated with the love of our terroir, are sublimated by renowned chefs and pastry chefs and offered to gourmets at a very affordable price of 45 € for a gastronomic meal including amuse-bouche, starter, main course and dessert (Reservations with restaurateurs). 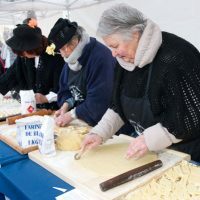 The job of a chef or pastry chef is based on love, passion and sharing. 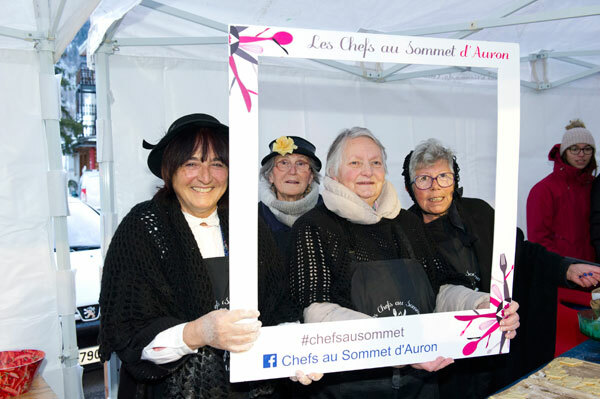 This, the chefs demonstrated during the inauguration of the Chefs au Sommet d’Auron in the central square in the presence of Colette Fabron, Mayor of Saint-Etienne-de-Tinée Auron and Michel Guillot, President of the Tourist Office of Mercantour stations and organizer of the Mountain Gastronomy Festival. 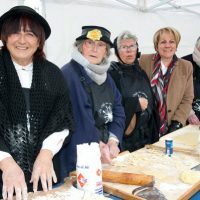 The week of generosity and sharing of chefs began with the traditional Galette des Rois with hot chocolate and a tasting of the traditional Saint-Etienne cuisine: green pasta, cussonets, donuts, ganses, ravioli, animated by the members of ASESC (Association from St Etienne de Tinée). 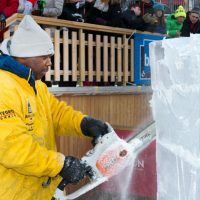 The public learned how to make jam with Stéphan Perrotte’s tasting workshop and how to mix cocktails with Victor Delpierre while Mario Amégée was fluttering the ice in the air by sculpting his frosted crystal work. 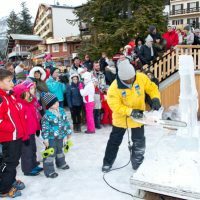 The Chefs au Sommet d’Auron showcase every day from January 20th to the 26th, 2018, a rich program of After Ski Gourmand, workshops and conferences. 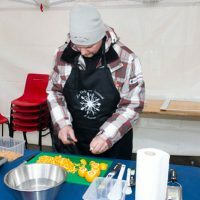 16h: Workshops or cooking demonstrations with Chefs. 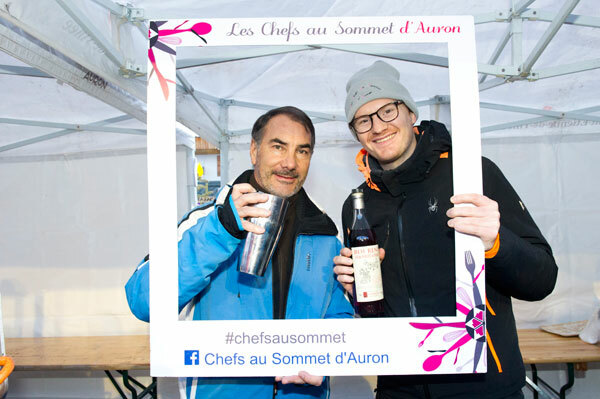 The Chefs au Sommet d’Auron invite you to six days of gourmande feast to be tasted without moderation, around a detonating recipe based on flavors from our mountains, snow, sun, relaxation, plus a touch of madness and good humor for a real cure of flavors and well-being at the top of the Mediterranean Alps.